Our rewards program is FREE. It is a gift from us to our most active customers. The more you shop, the more rewards you’ll receive! 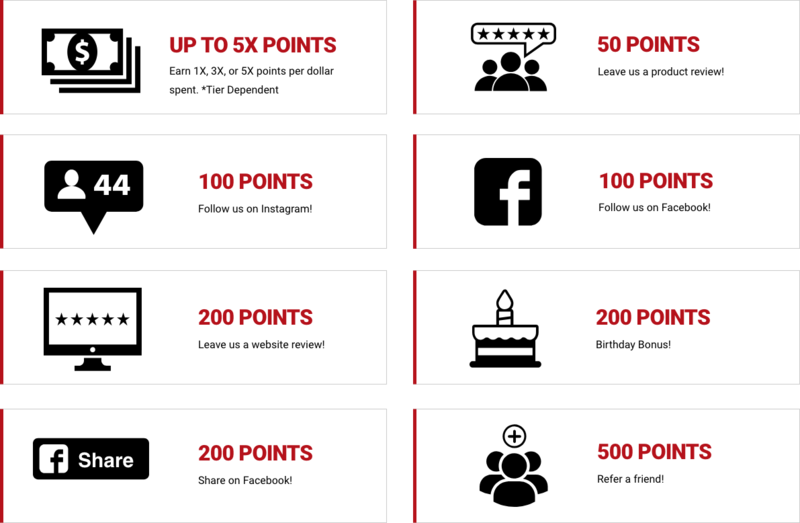 Earning points has never been easier! There is no max limit on the amount of points you may earn. However, points do expire 365 days from the day they were earned. For more information see our Club44 FAQs and Terms & Conditions. Refer a Friend. Get 500 Points! Click on the Club44 icon on the bottom right-hand corner of your screen and navigate to the section labeled “Earn Points”. Click to receive your personalized code and send it to a friend. If they are new to 44Tools, when they visit, a pop up will appear with a code to get them 10% off. Once the friend you referred to 44Tools makes a purchase using their unique 10% code, your account will be rewarded with 500 points. Log in to your 44Tools account, click on the Club44 icon on the bottom right side of the screen and redeem your points for coupon codes like the ones listed below. Offers will always be changing so check in often and take advantage of the offers that suit you best! You want perks, and we have them. With 3 club level tiers you’ll have access to a variety of amazing Club44 benefits no matter what. And the more you spend, the greater your rewards!